Speed is everything for a professional gamer or the one who is not into eSport but loves to play games for hours. Delay in switching from one point to another may put you on the back giving your enemies a push to win, and definitely, you cannot just tolerate that. So, for such a sensitive game, EDGE EGU-101 optical gaming mouse can be a solid option. HORI has used its own proprietary micro-switches that make every switch in this mouse 40% faster than other wireless gaming mice. It means you can be 40% ahead than your opponent and have a greater chance to win. Not just micro switches, it has a lot more features that are loveable. Whereas many other wireless gaming mice have a plastic base that upon longer use starts creating problems, EDGE 101 optical gaming mouse has been designed with a strong metal base. This metal base adds more responsiveness and durability to the mouse while distributing the weight in an even manner. Additionally, it has a removable metal base feature, which means if you feel that the mouse is bulky then simply remove the metal base and you will have a light-weight mouse for the best of your gaming experience. Let us discuss some of the most admired things that every gamer wants, which is buttons and programming capability. EDGE 101 optical gaming mouse has 11 programmable buttons to offer you comfort and ease of use while adding speed to your games playing capability. With the programmable software installed on your Windows PC, you can set the functioning of every button on the mouse or if you feel it is best to be used as it is, go ahead and use it in the plug and play mode with default settings. 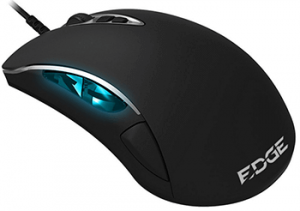 With this mouse, you get DPI support up to 6400 DPI, which can be adjusted on the fly with DPI switcher button. And, if you programme the mouse for different DPI settings for different gaming profiles, then will be an extra advantage for you. Its design is comfortable and switches are sensitive that work effectively. 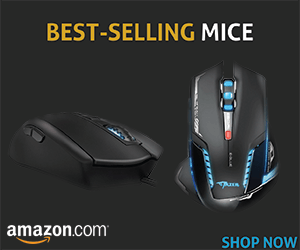 It is much better than many other wireless gaming mice in the price segment. It has internal memory in which it saves the settings you do for different buttons using the software. This is helpful when you have to use this mouse on any other Windows PC than yours. 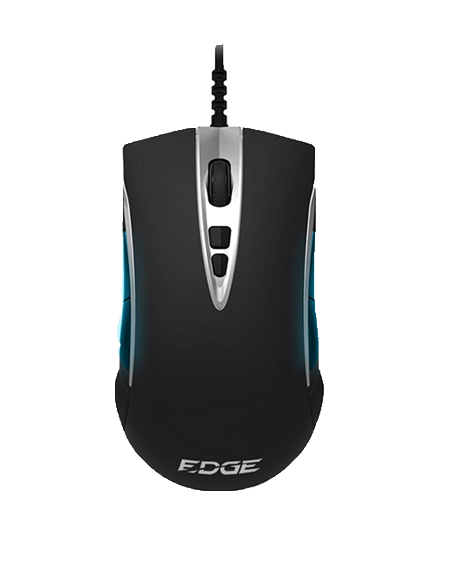 The EDGE 101 optical gaming mouse supports Windows 7, Windows 8, Windows 10, and later versions.